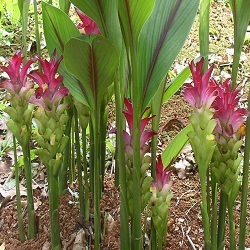 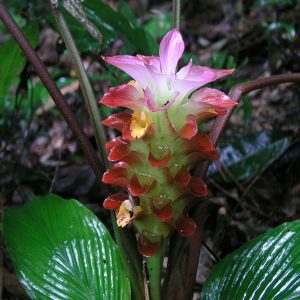 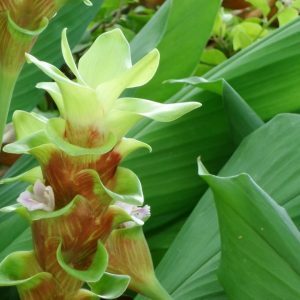 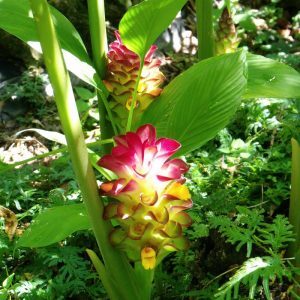 Curcuma are the unimaginable world of hidden gingers because they bare there flowers on short stalks amid its foliage. 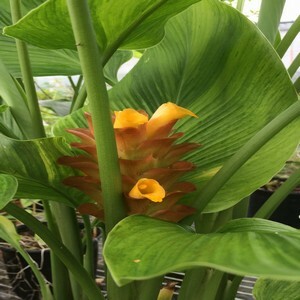 Foliage is lush, broad and some times pleated. 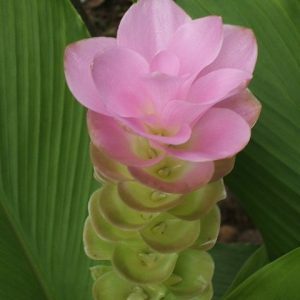 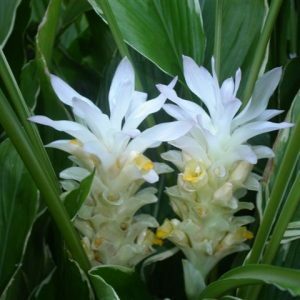 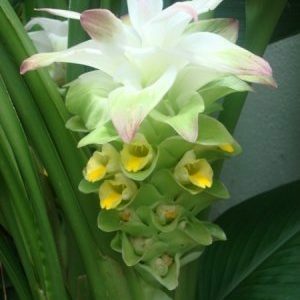 Curcuma love filtered sun or light shade and enjoy moist rich, well draining soil. 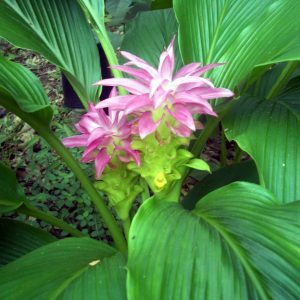 Blooms appear late spring, summer or fall depending on variety. 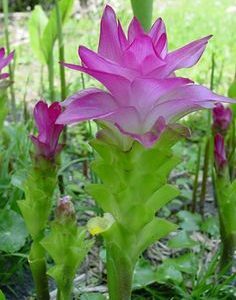 They should be fed with a good application of fertilizer in early spring to produce clumps of upright growth. 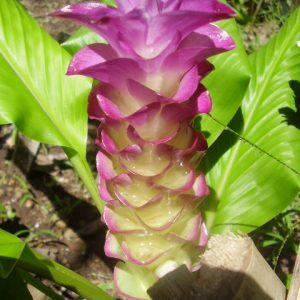 Flower bracts can last for weeks at a time. 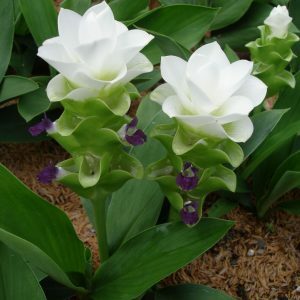 Excellent as a cut flower with a long vase life. 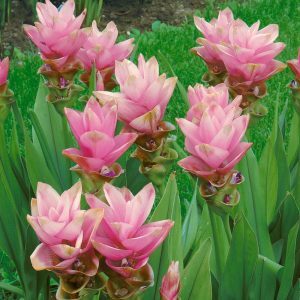 All varieties listed are hardy, but will go dormant for the winter where they will die down completely to rest. 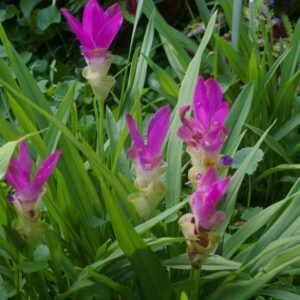 Keep on the dry side while resting for the winter. 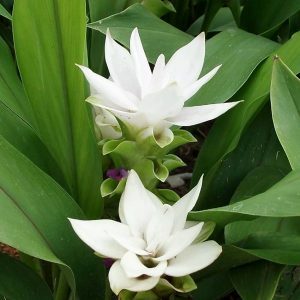 We offer a wonderful selection of varieties to please you our customer.